A carefully selected Bach Trumpet Mouthpiece can help improve a player’s embouchure, attack, tonguing and endurance. 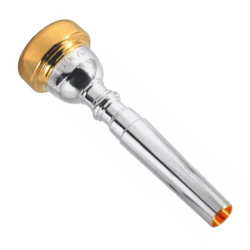 The Bach 3C features a fairly large cup and is an excellent mouthpiece for all-around use. The 3C is one of Bach's best-selling trumpet mouthpieces.